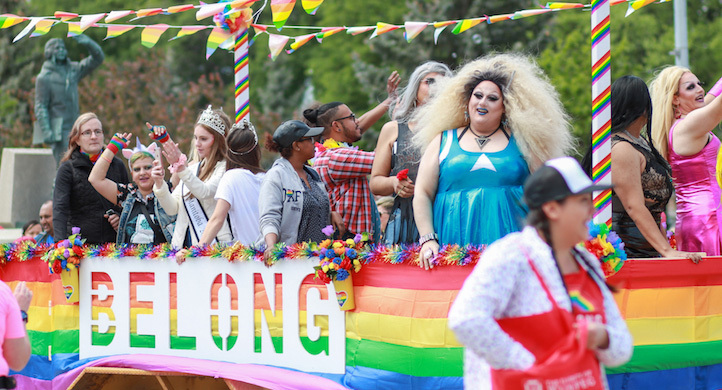 UWinnipeg will celebrate Pride 2019 with 11 days of festivities that include a cocktail party, flag-raising ceremony, a lecture series, and the parade march itself. Find the entire listing of events for UWinnipeg Pride 2019 below. You can sign up to receive emails with information and reminders here. This orientation is for anyone who would like to volunteer during the UWinnipeg Pride festivities and the the Pride Parade (Sunday, June 2). We'll provide information on Pride activities at UWinnipeg, duties needing to be filled, volunteer coordination, safety marshals, and Pride day set up and participation in the parade. 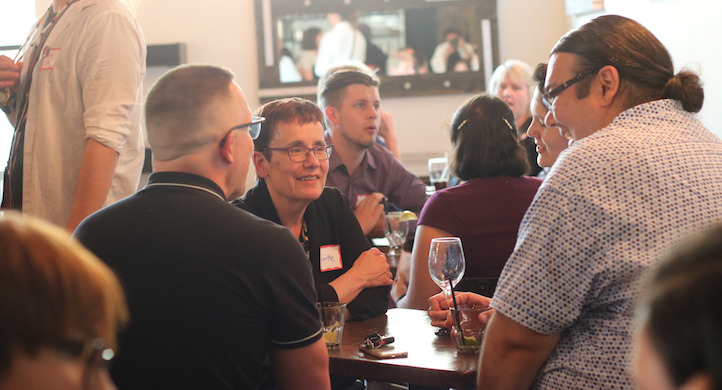 UWinnipeg Alumni Affairs invites you to catch up with old friends and make new ones! Guests are welcome! Featuring cocktails and hors d'oeuvres at King + Bannatyne. RSVP to alumni@uwinnipeg.ca or 204-988-7118 (or 1-888-829-7053 toll-free) by Friday, May 17th. 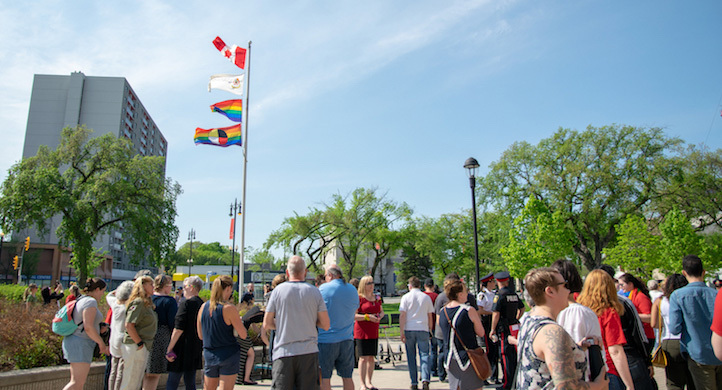 Please join UWinnipeg as we celebrate the start of Pride 2019 with an official flag-raising of the Pride and Two-Spirit flags and ceremony on campus - with Dr. Annette Trimbee, Albert McLeod and Two-Spirit People of Manitoba. Please join Two-Spirited People of Manitoba and The University of Winnipeg Archives for the official launch of the Two-Spirit Archives. Building on the energy and strength from last year’s successful celebration, the Two-Spirit Pow Wow returns on June 1, 2019. Rally 10:00 a.m., Parade 11:00 a.m.
All UWinnipeg participants are encoraged to meet for the rally on the Manitoba Legislature steps which runs from 10 am to 10:45 am. The parade is scheduled to run from 11 am to 12:30 pm. Please remember to bring water, sunscreen and you might want to sport a hat.